Promotional video, produced shortly before Bill Harris' passing in 1988. EmArcy MG 36097, titled Bill Harris was released in 1956. EmArcy MG 36113 titled The Harris Touch was released in 1957. 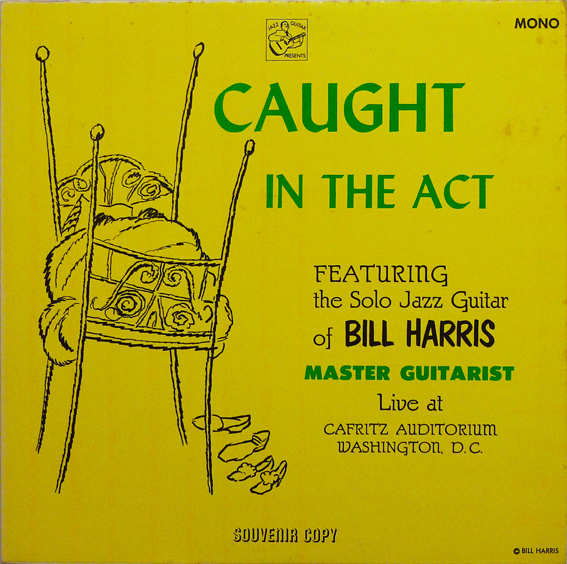 It was rereleased later as Mercury MG-20552 (mono) and SR-60120 (stereo) both entitled Bill Harris - Jazz Guitar. Bill Harris (g); Hank Jones (p-1); unindentified (b-1); unindentified (d); unindentified (bgo). EmArcy MG 36113 titled The Harris Touch was released in 1957. 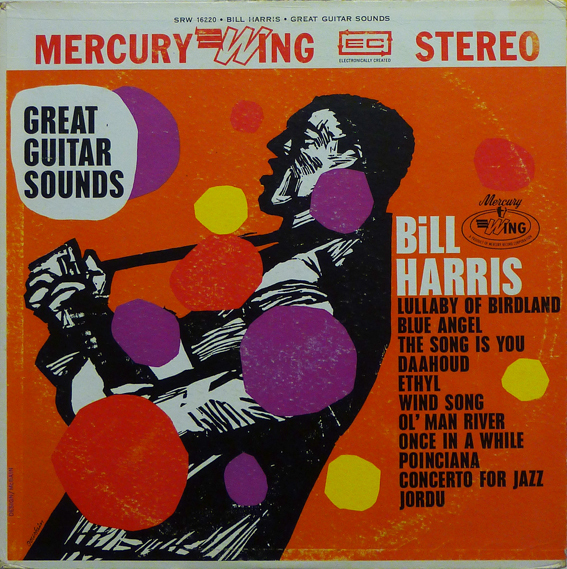 It was rereleased later as Mercury MG-20552 (mono) and SR-60120 (stereo) both entitled Bill Harris - Jazz Guitar. V.S.O.P 66CD was released in 1988 or 1989. There also might be an LP issue. Other tracks on The Fabulous Bill Harris are from 1973, 1975, 1982 and 1986. Wing MGW 12220 (mono) Great Guitar Sounds was released around 1960. It also appeared in artificial stereo as Wing SRW 16220. Black & Blue 33.042 was released 1972. The CD version BB 938.2 was released 2001. Bill Harris (g); The Howard University Ensemble. V.S.O.P 66CD was released in 1988 or 1989. There also might be an LP issue. Other tracks on The Fabulous Bill Harris are from 1957, 1975, 1982 and 1986. Bill Harris in Paris Live! Alone! 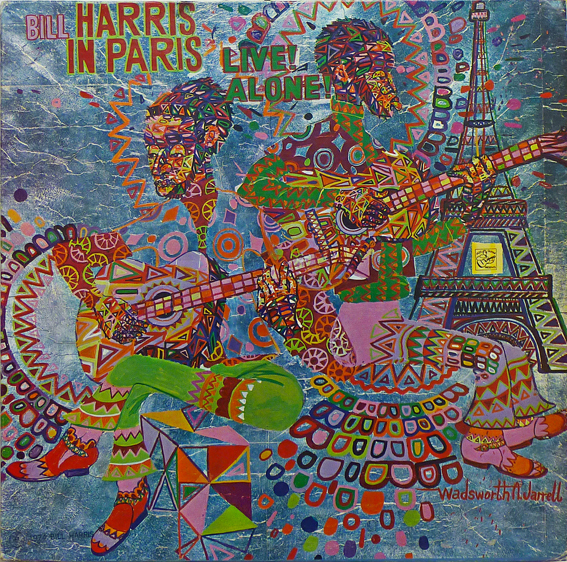 According to the liner notes of this LP, Harris toured France in October 1973. Although the title of Jazz Guitar Presents BH 751 suggests that all of these tracks were recorded in Paris there is a different ambience on different tracks. In a short announcement to Hommage á Krupa that Harris apparently recorded at a later date in the US he says that this track comes from a life concert in Toulouse. Harris says he composed it while he was touring france. Watergate Blues was written for a watergate barge concert in 1962? Later to be retitled Intaglio Monk for its musical likeness to Monks approach. (My musical etching of Thelonious Monk) I was advised to give the original title back to it by Jarrell and there you have it with the gap in the tapes. (Jarrell is the Wadsworth A. Jarrell , who is responsible for the cover painting of this Lp. Note: There is a test pressing of this LP extant that bears the number "Jazz Guitar 102". So was there a "Jazz Guitar 101"? V.S.O.P 66CD was released in 1988 or 1989. There also might be an LP issue. 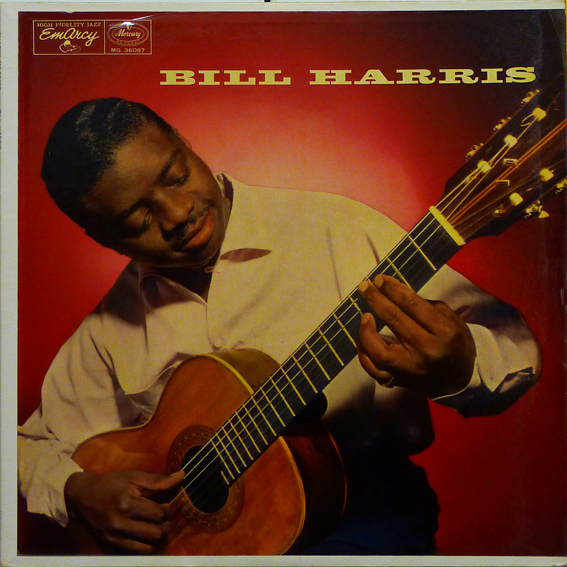 Other tracks on The Fabulous Bill Harris are from 1957, 1973, 1982 and 1986. The liners to V.S.O.P 66CD do not mention the town in which these tracks were recorded. Bill Harris (g-1, voc-2, recitation-3, whistling-4). V.S.O.P 66CD was released in 1988 or 1989. There also might be an LP issue. 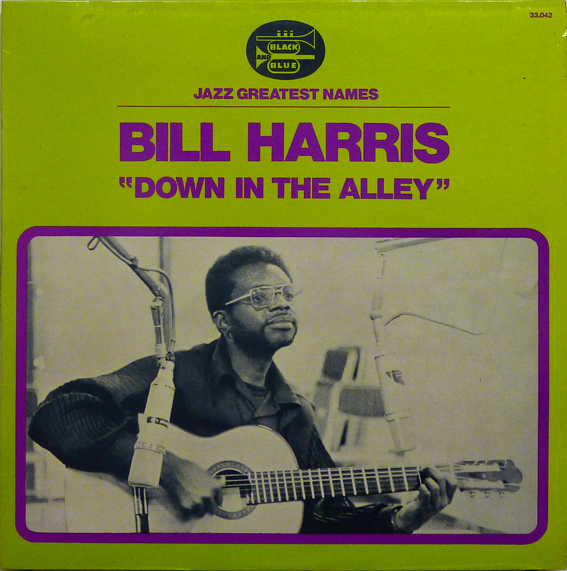 Other tracks on The Fabulous Bill Harris are from 1957, 1973, 1975 and 1986. V.S.O.P 66CD was released in 1988 or 1989. There also might be an LP issue. 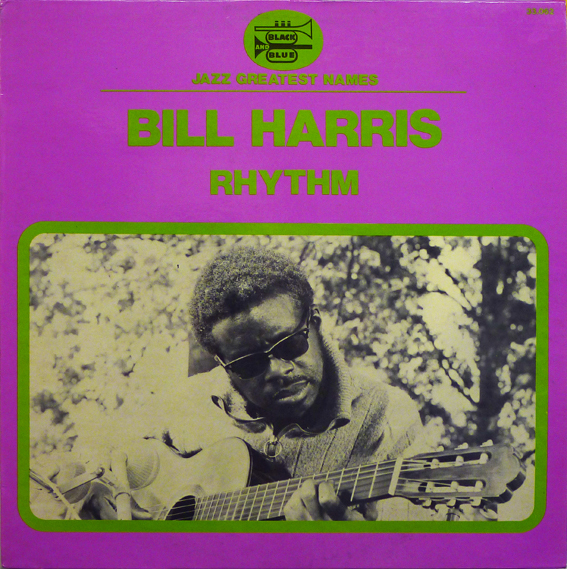 Other tracks on The Fabulous Bill Harris are from 1957, 1973, 1975 and 1982. © Jazzdocumentation 2010. Thanks to the late Otto Flückiger.